In February of 2014 when I traveled to El Rosario Monarch Butterfly Biosphere Reserve in Angangueo to film the Monarchs, we encountered some difficulty locating the butterflies. 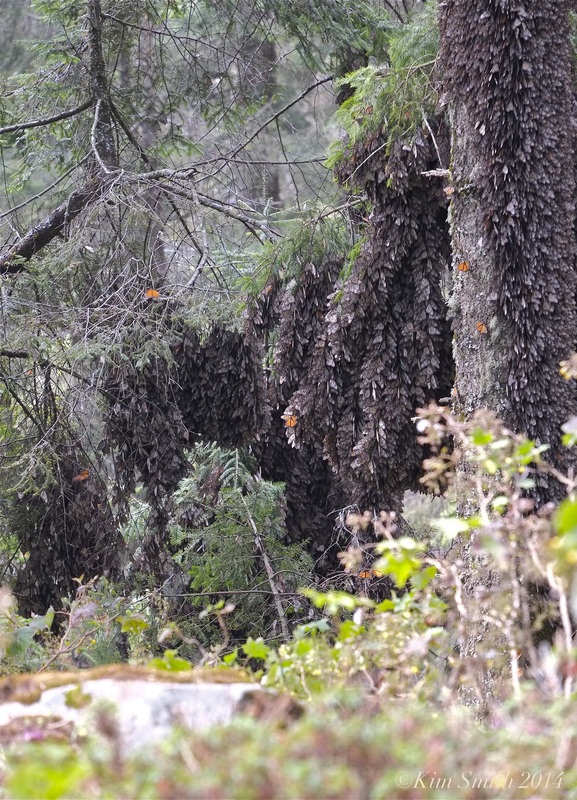 Because of global warming conditions the Monarchs had roosted much further up the mountain than was typical. We needed to climb an additional 1500 feet, nearly to the top of the mountain. There was no place higher for the butterflies on this mountain and I wondered at the time, where would they go as the earth becomes increasingly warmer. Butterflies are heliothermic, which means they gain heat from the sun. During the winter it is imperative that the butterflies remain relatively cool and in a state of sexual immaturity, called diapause. 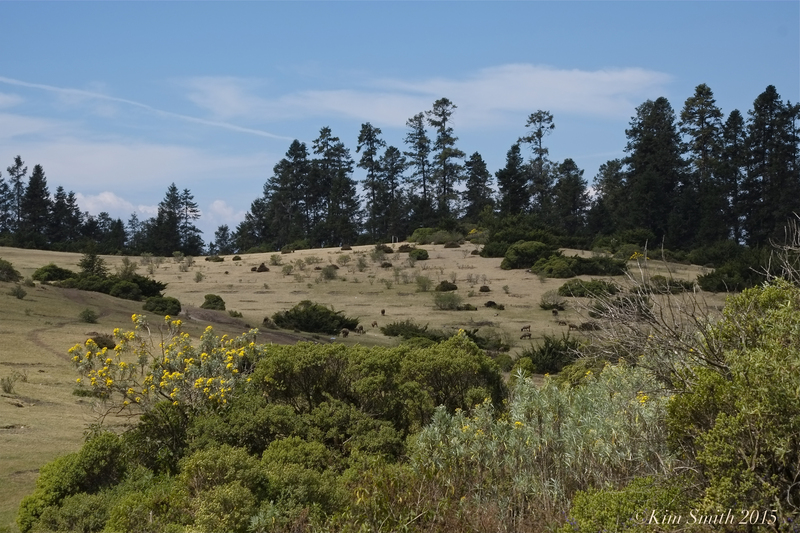 The sheltering boughs of the sacred Oyamel Fir (Abeis religiosa) trees and the cool temperatures at the higher altitudes of the Trans-Mexican Volcanic Mountain Belt, in the past, have provided optimal habitat for the butterflies. The butterflies currently roost at altitudes between 9,500 and 10,800 feet. Mexican scientists are planning to progressively move the trees higher up the mountainsides in a race to save the fir trees. Last summer several hundred seedlings were planted at 11,286 feet where habitat best suited to Monarchs is expected to be by 2030. 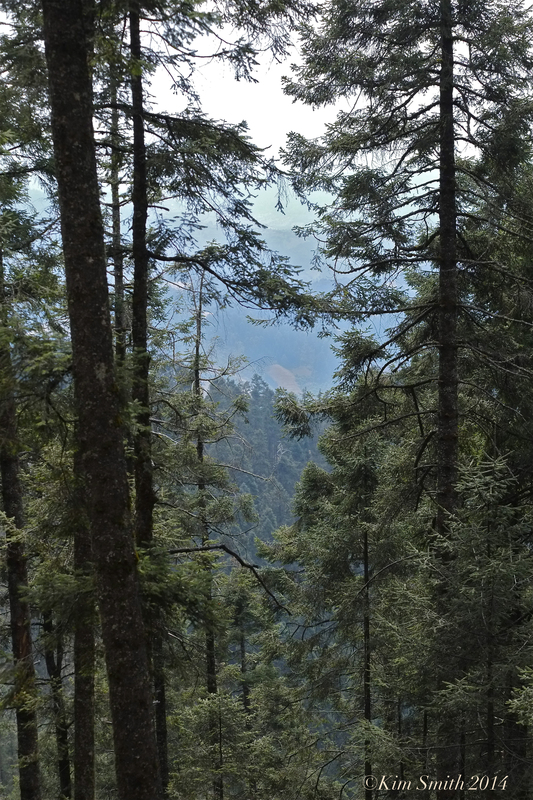 When the rainy season arrived last summer, a few hundred seedlings were planted at 11,286 feet, where habitat suited to oyamel fir trees is expected to be by 2030. By then, according to retired U.S. Forest Service geneticist Jerry Rehfeldt, who co-authored a paper with Sáenz-Romero on global warming’s effect on oyamels, temperatures in the reserve could rise above pre-industrial levels by 2.7 degrees Fahrenheit by 2030, and suitable habitat could shrink by nearly 70 percent. The scientists’ research further suggests that by the end of the century, habitat that meets the fir’s needs may no longer exist anywhere inside the reserve. Trees would have to be planted at higher altitudes on peaks more than 100 miles away from the monarch’s migratory home. The sacred fir is a poster child for the plight of trees around the globe. Trees provide habitat for countless species and underpin ecosystems as well as human economies, but as a group they are highly imperiled. A diagram in the Intergovernmental Panel on Climate Change’s 2014 Working Group II report shows that of all life forms, trees are least able to respond to rapid climate change. Rooted in place, they have not evolved for rapid locomotion. Many take decades to mature and reproduce. So many thanks to my friend Eric Hutchins for forwarding this article!! 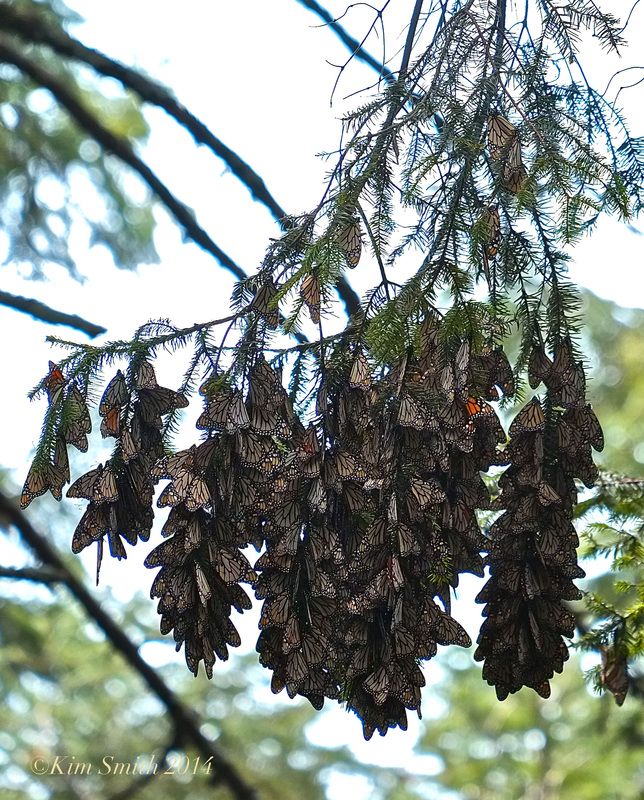 This entry was posted in Angangueo Michoacán Mexico, Monarch Butterfly, Monarch Butterfly in Crisis, Monarch Butterfly Migration in crisis and tagged Abeis religiosa, El Rosario Monarch butterfly Biosphere Reserve, Janet Marinelli, Monarch Butterflies, Monarch Butterfly Migration, oyamel fir tree on January 4, 2016 by Kim Smith.